MGTL has over 20 years of experience preparing files for all types of media. 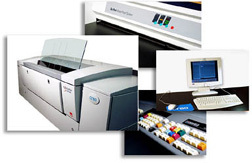 If you are printing out of state or overseas, we can pre-flight and proof your files. See Pre-Press Service Options at MGTL for more information.